The Duke and Duchess of Sussex revealed that they were expecting their first child earlier this week, with the latest royal baby due in spring 2019. Meghan Markle is rumoured to be around four months pregnant – which would make her just weeks away from the 18-21 week scan in which expectant parents can ask to find out their baby’s gender. And whether or not Harry and Meghan ask the above question, they are unlikely to reveal whether they’re welcoming a boy or girl until after the baby’s birth – in keeping with royal tradition. But the good news is that a simple and very popular chart many people use to guess which gender their child will be – Chinese Birth Predictor – could give royal fans an answer to this question a full five months before the couple’s bundle of joy is welcomed into the world. The ancient Chinese birth chart, which is supposedly based on the Chinese Lunar Calendar, uses the mother’s age and month of conception to predict what gender the baby will be. 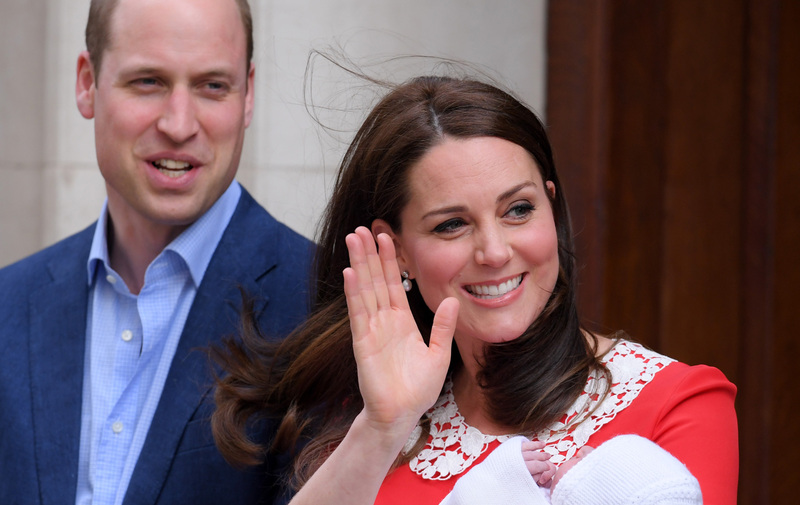 While it may not be an exact science, it has proven to be eerily accurate in the past – having predicted all of Kate’s children’s genders correctly! 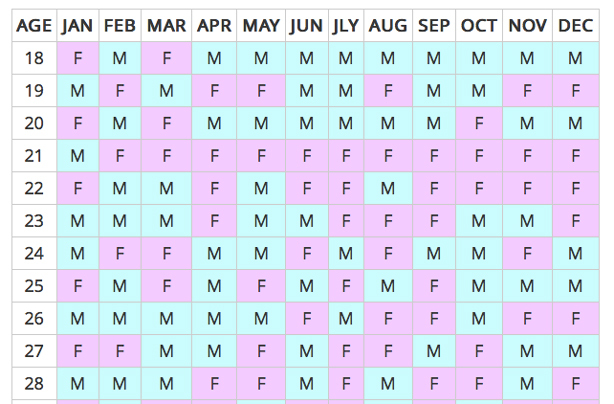 Expectant mums simply use the Chinese birth predictor grid to match the age they were when they conceived and the month they conceived, and then whichever square joins the two columns is the predicted gender of their baby. The chart accurately predicted the gender of Pippa Middleton’s first child to be a boy, and that was proven right when she made her baby announcement this week. It was also spot on for all of the Duchess of Cambridge’s children. For Prince George, the likely month of conception was October when Kate was 30 years old, which predicted a boy. While for Princess Charlotte, she was likely conceived in August when Kate was 32 years old, so the theory predicted a girl – which turned out to be correct. The predictor was also correct for Prince Louis, as he was probably conceived in July when Kate was 35. The Chinese birth predictor has correctly guessed all of Kate’s children! In Meghan’s case, she’s 37 and her conception month is likely to be June considering she revealed she’s four months pregnant now, which would mean that Harry and Meghan would be proud parents to… a baby girl! Have you ever given the Chinese birth predictor a try? Let us know if it worked for you by joining the conversation on our Facebook page!